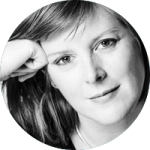 Nicky works in the UK and internationally primarily in opera, but also in theatre, musical theatre and short film. Recent opera credits include: Jenufa, Royal Swedish Opera, Danish National Opera & Scottish Opera and Madama Butterfly, Glyndebourne on Tour, both directed by Annilese Miskimmon; Dead Man Walking, Royal Danish Opera, directed by Orpha Phelan and Peter Pan (costumes), Komische Oper & Welsh National Opera and Rossi’s Orpheo, Royal Opera House at Sam Wanamaker Theatre, both directed by Keith Warner. Theatre credits include; Dancing Shadows (winner of 5 Korean Musical Awards), Opera Theatre, Seoul; Picasso’s Women, Towel Theatre, Seoul; Perhaps Here, Teatergarasjen, Norway, La Nuit de Valognes and Wozzek, Other Place, RSC; also co-produced and designed 4 plays; 3 by Glynn Maxwell Anyroad, The Bridewell; The Lifeblood and Broken Journey, Hen and Chickens and Take the Fire, Lyric Studio. As production & costume designer on short film Assessment (winner – Jury Award, Film London’s Best of Borough), designed the studio set for The Score, BBC2 and was associate set designer to artist Bruce McLean on The Empress (by Orlando Gough), Channel 4. Future opera projects include designing for Garsington Opera and Glyndebourne Festival Opera.